One of my all-time favorite foods is chips and salsa. Home-made salsa is super easy to prepare and a million times better than the stuff that comes in a jar. 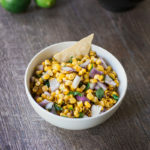 While you can never go wrong with a traditional tomato salsa, sometimes it’s fun to switch things up a little and make some delicious corn salsa. 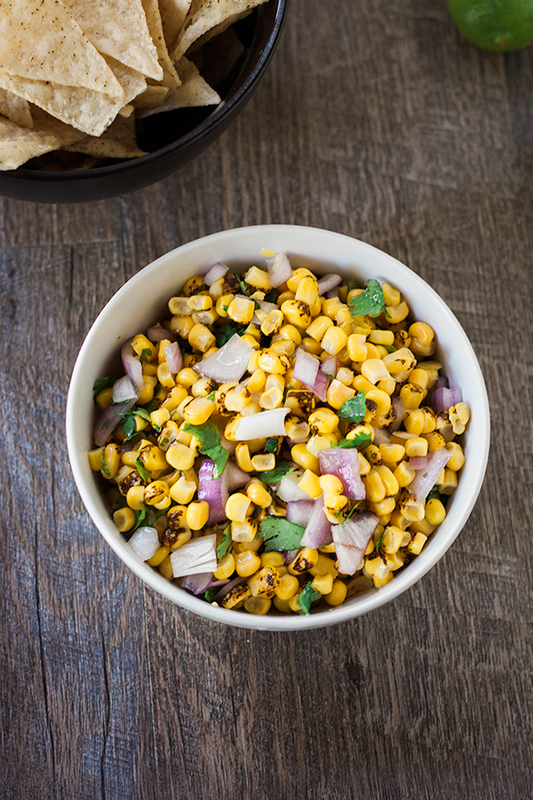 Since this salsa uses frozen corn it only takes a few minutes to prepare. 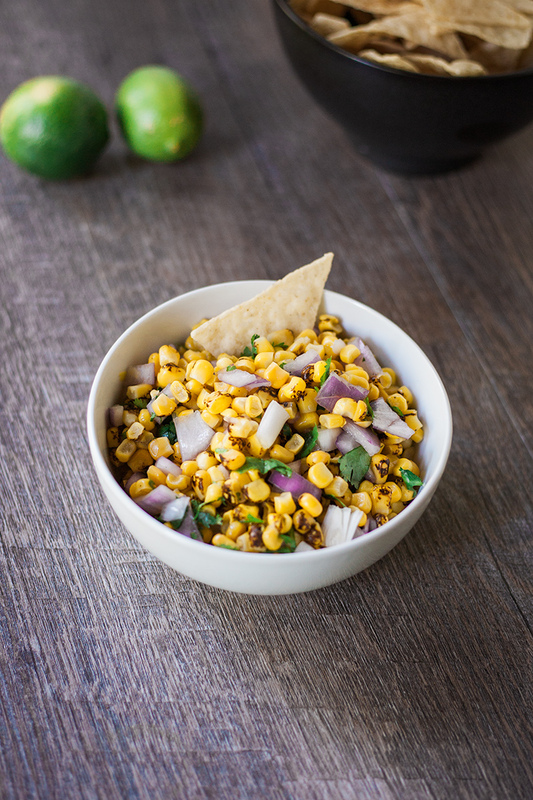 Simply thaw the corn, add the other ingredients, and mix together. It’s a real crowd pleaser and a great addition to any summer potluck, cookout, or barbecue. 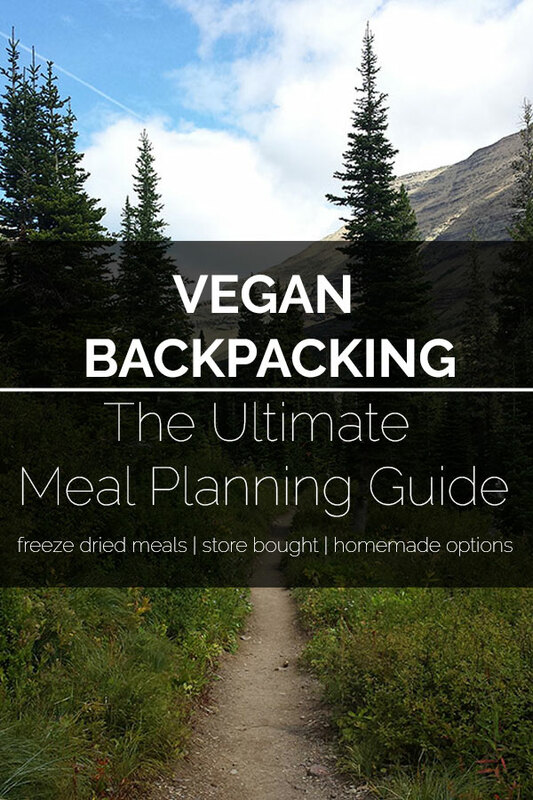 If you’re looking for more vegan barbecue ideas be sure to check out these recipes for Grilled Falafel Kabobs and TVP Sloppy Joe Onion Bombs. Thaw the corn in the refrigerator overnight. 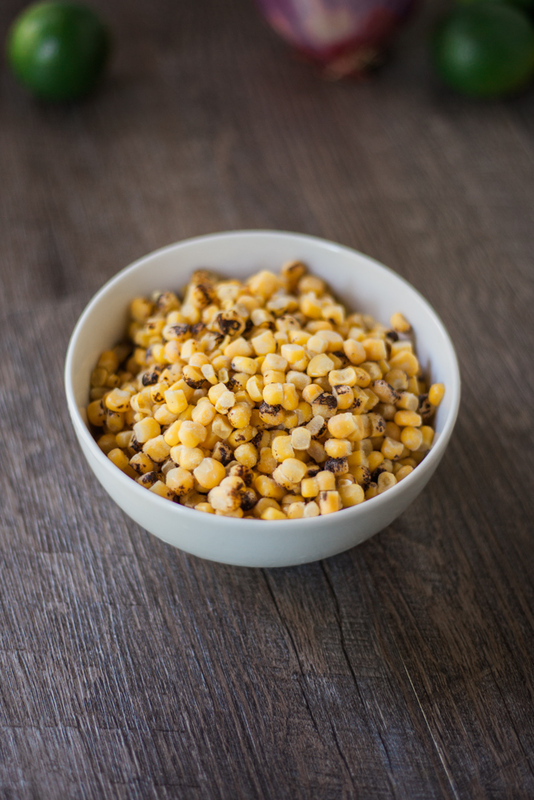 Place the corn in a large bowl. If you don’t have time to thaw the corn overnight you can pour it into a large bowl and cover it with warm water until it’s thawed.